A campus memorial service to celebrate the life of Billy E. Frye, Emory’s first provost, will be held Saturday, April 14, at 1 p.m. in Cannon Chapel. The Emory community is invited to attend the service, which will be followed by a reception in Cannon Chapel’s Brooks Commons. Those planning to attend are asked to email Joshua Peck at joshuam.peck@gmail.com. A respected scholar, educator and administrator, Frye is remembered for helping guide Emory during years of rapid campus and program development. Frye, who was 80, died Nov. 14 near Clarkesville, Georgia. During his 15-year tenure at Emory, Frye served as the university’s first provost, and later as interim president and then chancellor. He was recognized as a steady, influential leader who showed integrity, intelligence and deep moral stamina, with a gift of bringing humor to the most challenging deliberations. He earned his bachelor’s degree at Piedmont College before coming to Emory for graduate school, where he received one of the department’s first doctorate degrees. Frye 54G 56PhD returned to Emory in 1986 when then-President James T. Laney appointed him dean of the graduate school and vice president for research. Two years later, he was named Emory’s first provost and vice president for academic affairs. His arrival at Emory coincided with Emory’s unprecedented growth and expansion — only a few years earlier, Coca-Cola executive Robert W. Woodruff and his brother, George Woodruff, had given Emory a then-record gift of $105 million. During that time, Frye was credited with imparting a stabilizing sense of order and consensus. He was also influential in leading a campus-wide self-examination that led to the 1996 publication of Choices & Responsibility: Shaping Emory’s Future, a seminal document that outlined guiding principles for the university’s future. Throughout the 1980s and 1990s, Frye was a national spokesperson and leader in preparing research libraries for the future by bringing attention to issues such as book preservation and digitization and the need for collaboration among research libraries. 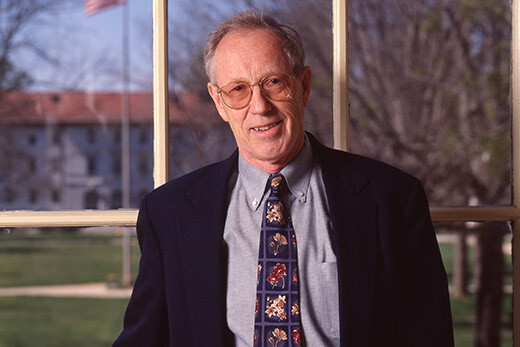 Among his many accolades, Frye received Emory’s Thomas Jefferson Award in 1997 for service to Emory through activities, influence and leadership. He was also awarded the Emory Medal, the highest alumni honor, and recognized as one of 175 Makers of History during the university’s 175th anniversary celebration in 2011. Frye is survived by his wife, Elisa Ann Frye, and two daughters, Alice Frye 01PhD and Elisa Talitha Frye; a son-in-law, Joshua Peck; granddaughter Chana Perlman; and his brother, Jack Frye.